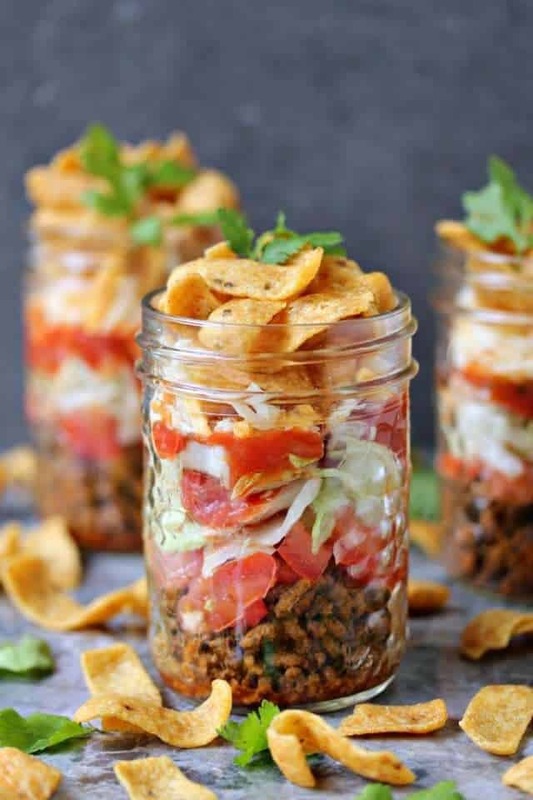 If you love mason jars, you can basically never get enough. From drinking glasses, to utensil holders, to home decor, the mason jar is a versatile item that has no bounds. 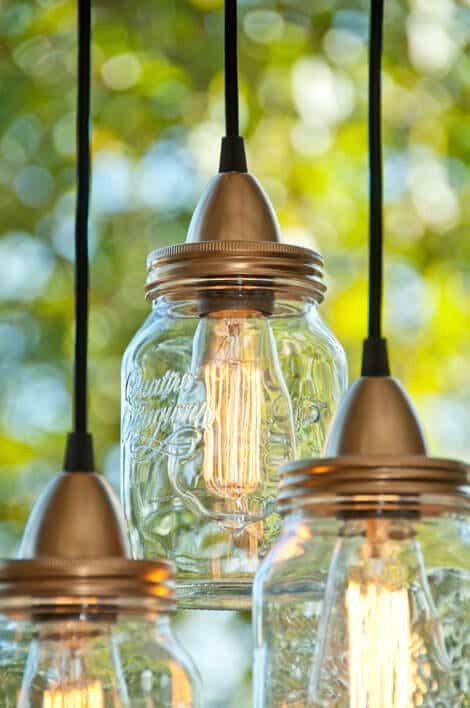 When you’ve run out of ordinary ways to use a mason jar in your every day life, why not consider incorporating them as hanging lights? 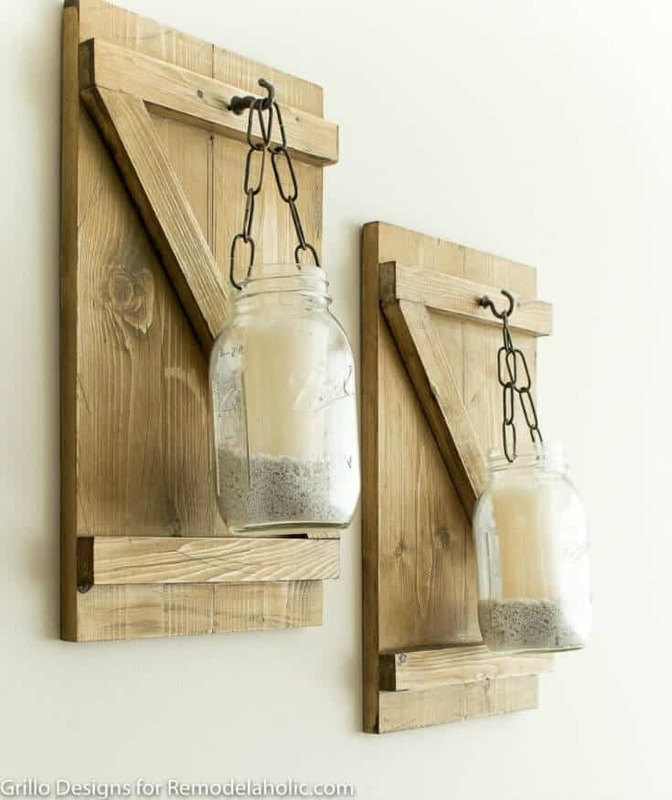 Check out some of these awesome hanging mason jar lights to dress up your home. 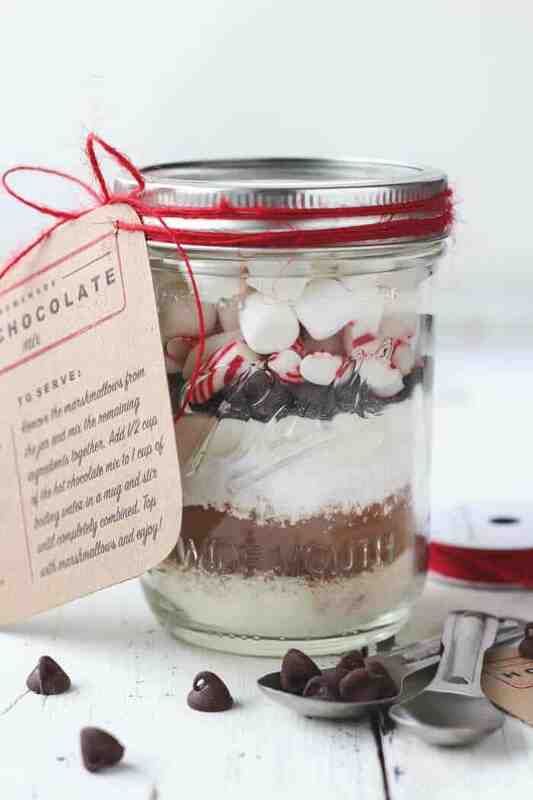 This is the perfect beginner craft for mason jar lovers. No drilling or painting involved! 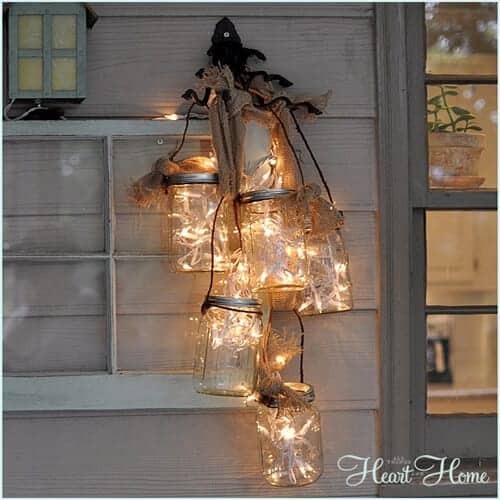 Just tie some string and add some twinkle lights and maybe some burlap before hanging on your porch or entry way. This is a simple DIY that looks like a million bucks. See all the design details at AllThingsHeartAndHome.com. Farmhouse decor lovers, this DIY is for you. 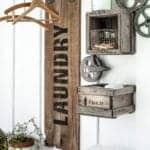 Wooden planks are put together to mimic miniature barn doors, then dressed up with simple mason bars hung from rustic chains. Toss in some small rocks and a battery operated candle (or the real deal if that’s your thing) and hang! 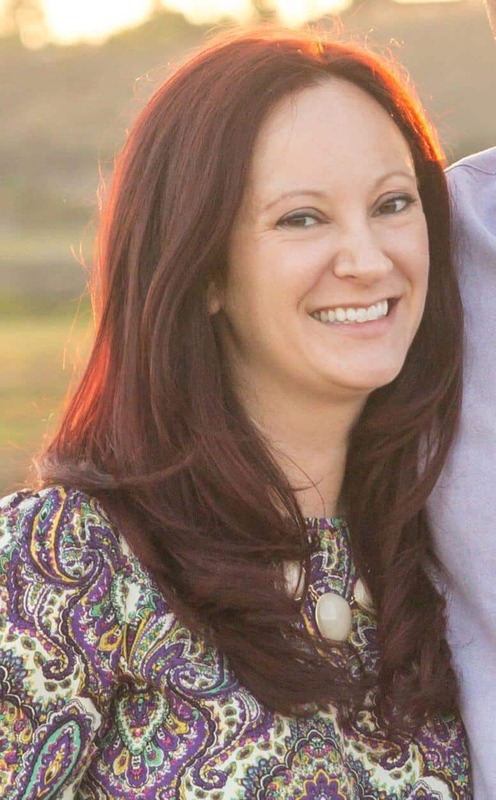 Find the full tutorial over at Remodelaholic! Goodbye boring, builder grade light fixtures. This Ball mason jar sconce light will completely transform your space, and with minimal effort too. 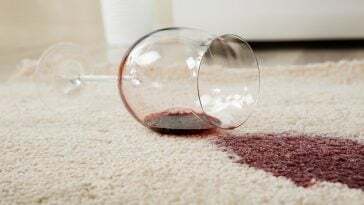 As long as your mason jar is roughly the size of your old fixture shade, you should be able to fix a washer and attach your bar in a jiffy. See more installation details at RobbReStyle.com! 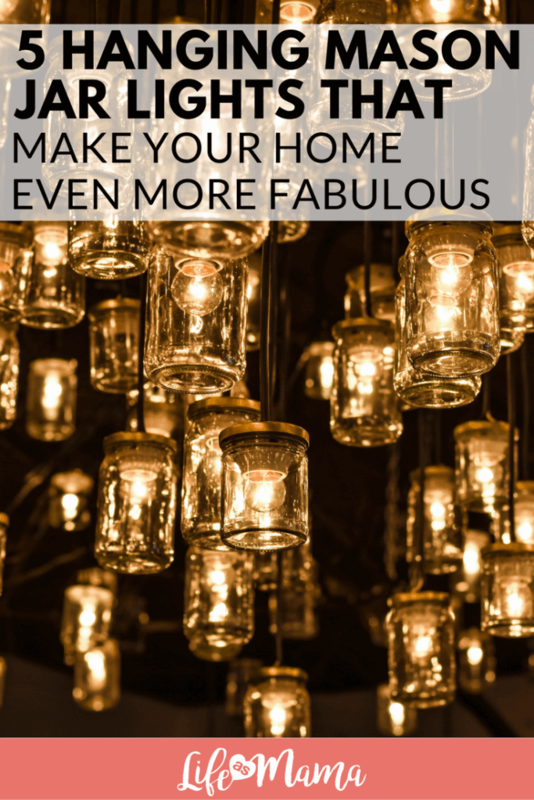 Edison lightbulbs make these mason jar pendant lights extra fabulous. 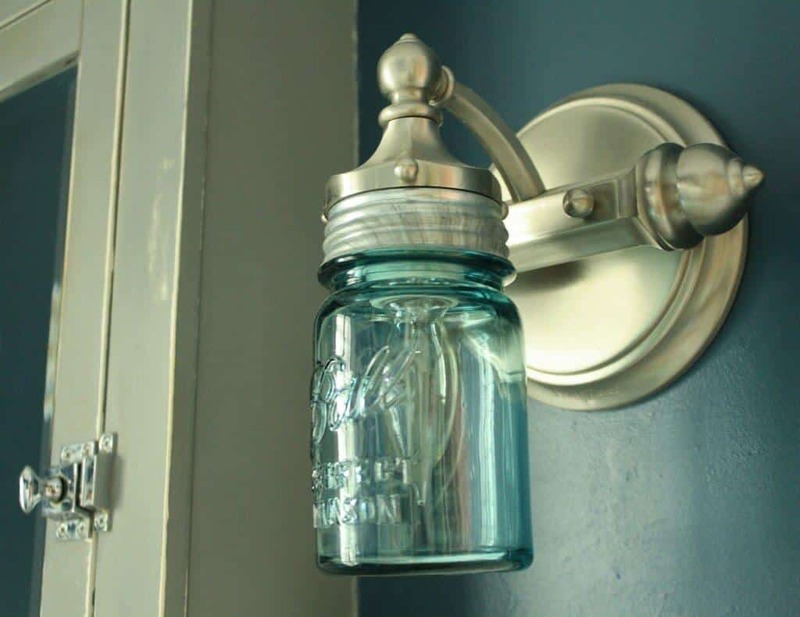 A corded light is punched through the lid of a regular old mason jar, spray painted to perfection and then hung with care. Pick out a pretty great looking light because this will be on full display, and proudly so. 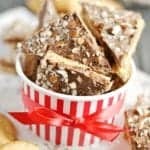 Translate this tutorial from Dutch to English over at WoonBlog.com. 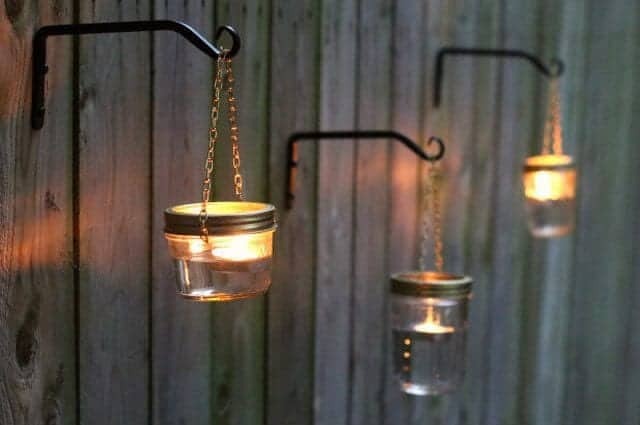 It’s pretty easy to transform your backyard into paradise, and these outdoor hanging mason jars are a great start to get the relaxing ambience for your haven. Varying sizes of mason jars are strung up with clock chains and suspended from garden hooks for an ethereal feel. 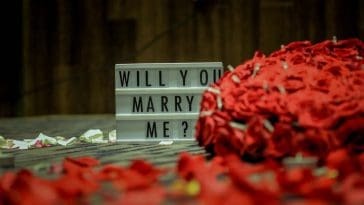 Add some tea lights, sit back and relax! 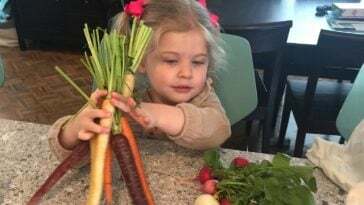 Check out ehow.com to see how easy this really is! 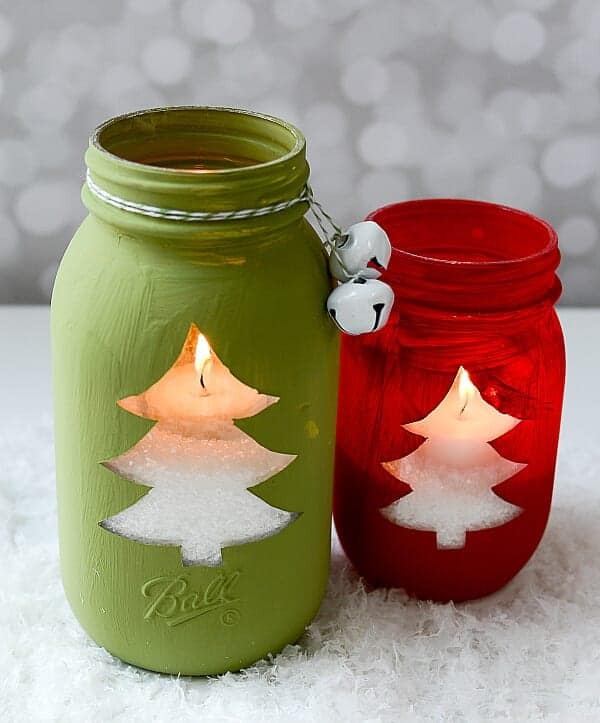 Need more mason jar ideas? DIY Funfetti Mason Jar Candle- It Looks And Smells Delicious!